Ensure you have the right game plan before making contact. How do you approach a manufacturer in another country to let you import it to yours? Priority No. 1 is to select a product that is successful in its present domestic operation and has the look and feel of export potential (meaning everybody, everywhere —already loves it and is likely to continue doing so even in the United States). Priority No. 2 is to go to market with what you are familiar with. Priority No. 3 is to view the potential of the product in front of you through the eyes of consumers in your import market of choice, in this instance, the United States. That said, let’s say the manufacturer you are interested in makes more than 12 different styles of shoelaces. Which one should you import? Easy. The one that sells like hotcakes in his market. The one you love the best. The one you know that customers in the United States will love the best. Try to choose one item that you can come close to providing an affirmative response for in regard to all of those statements! Next, script your communication to the manufacturer. You might want to also review Finding a Supplier for the Product You Want to Import. Lastly, nothing beats a face-to-face encountering when you want to seal a deal on representation. 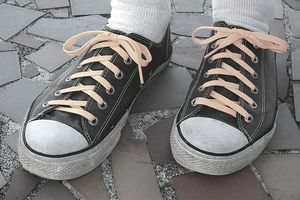 Once you have gathered information on your prospective supplier’s product and reviewed the product for import readiness, you must convince the manufacturer that you are capable of importing the company’s shoelaces to your part of the world. How do you go about it? It goes like this: focus, explain, emphasize and stroke. Focus on the target market. Give the manufacturer an introduction to the market conditions in an unknown country. This will intrigue him. Explain how you do all the work and incur all the risks. Emphasize that he will make most of the money from the transaction. Stroke him by enumerating the benefits you can bring to his business by exploring other markets on his behalf. Importer: “I have contacts in the United States. May I offer your products there? That’s all there is to it. Now that you have gone to the trouble of finding a product to import, shoelaces, and proving to a manufacturer you can import it, it’s time to consider whether you need a written agreement as to how you will do business with the company. We’ll discuss that in a future article.